Today a lot of people are using the website and hosting services. And the reason behind it is that today a lot of people have access to the internet. So today if you are having a website then you can easily showcase your business products and services to the people around you and also to the people across the globe. And today there are a lot of hosting platforms are available to host your website. So all you need to do is that choose the right hosting plan and host your website. 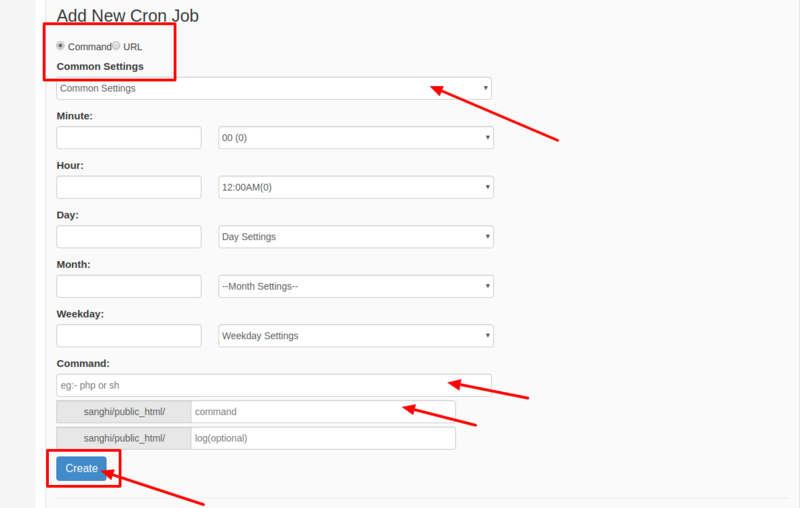 But today if you are using web hosting service and if you are looking for information on how to create a CronJob in HR Panel v2.3 then here is the complete information on it. >>> Once the cron job is been created it will display in Current Cron Tasks. And if you want to edit you can even edit that. Note: There is also an option name Add Email so in here if you wish you can give your email ID. But note that after providing the email ID- each and every time when cron job update you will get an update to your mail ID and this may make your server to run out of space. And the same thing is applicable if you choose to go with log option at the time of creating a cron job.